The most common cause of renal artery disease is due to atheromatous plaque. 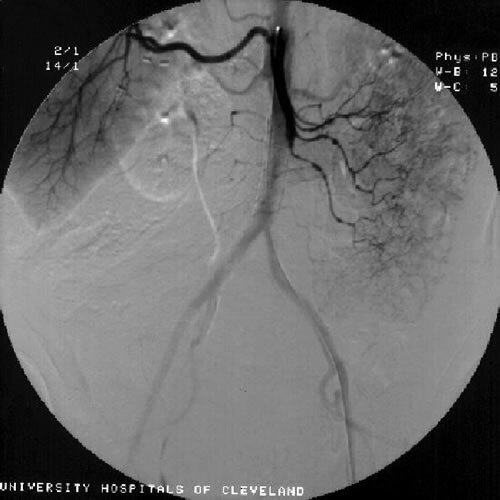 This may result in renal artery stenosis (narrowing) or occlusion. Other causes include: Fibromuscular Dysplasia (FMD), Arteritis (Eg. Takayasu's) and Dissection. These are systemic processes that do not only involves the renal circulation. 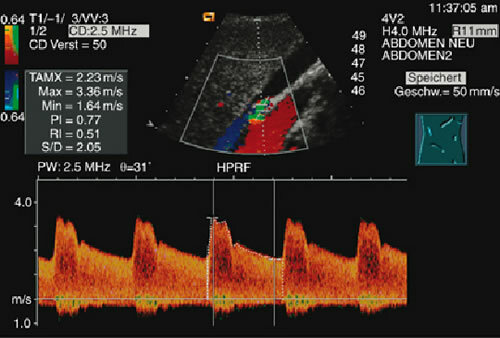 To confirm the diagnosis, a renal artery duplex ultrasound is performed. This confirms the diagnosis, estimates the degree of stenosis and provides information about the success of any intervention to the kidney. 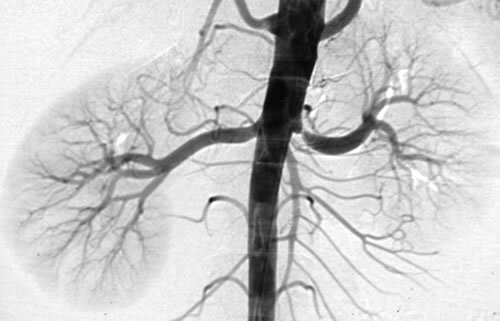 If there are difficulties encountered with performing the duplex ultrasound, further imaging is required, Computed Tomography-Angiogram (CTA), Magnetic Resonant-Angiogram (MRA) or formal renal angiogram is considered. Management takes in consideration many factors. A multidisciplinary approach with the renal physicians and cardiologists are required to ensure the best patient care. 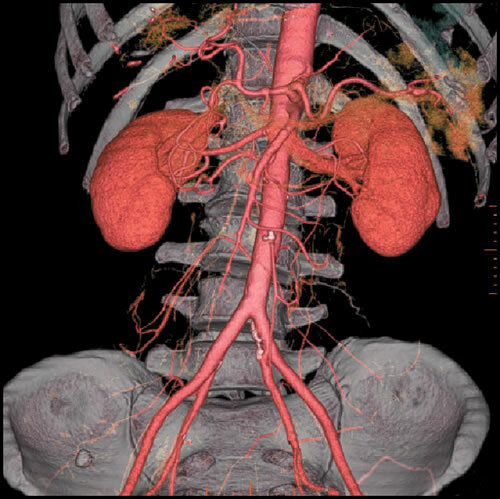 Depending on the presentation, management may involve revascularisation of the renal artery. Revascularisation means improving the blood supply to the kidney. This is often performed with minimally invasive techniques with ballooning +/- stent however, much less commonly, open surgery may be required. Mesenteric or Intestinal Ischaemia is the broad term used to describe conditions that interfere with the blood supply of the bowel. These can be classified as acute (sudden onset) or chronic, both of which are serious conditions associated with poor outcomes. Mesenteric arterial embolism or thrombosis ie. occlusion of the artery to the bowel. 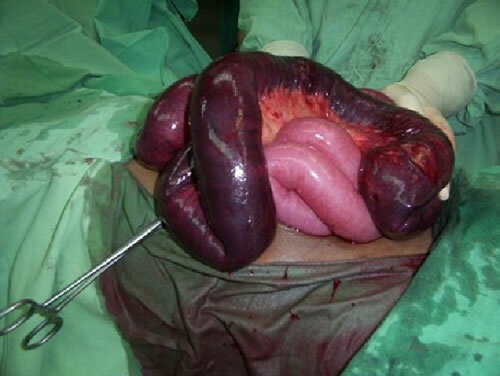 Mesenteric venous thrombosis ie. 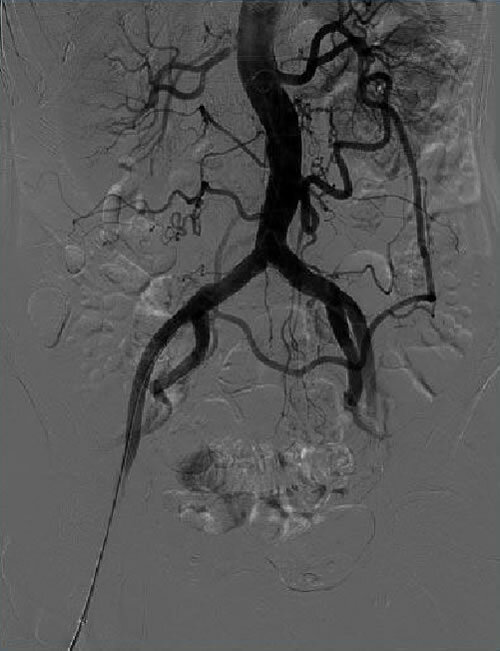 occlusion of the vein draining the bowel. These are surgical emergencies and immediate presentation to the emergency department is warranted. These conditions present with sudden onset of severe constant abdominal pain that may be associated with vomiting, diarrhoea and fever. Mesenteric angina develops over time and is a result of marked reduced blood supply to the bowel due to atherosclerotic plaque causing narrowings and occlusions in the arteries. The bowel usually has an extensive collateral blood supply but even this can be exhausted. The clinical hallmark of this condition is fear of food with abdominal pain that develops approximately 30 minutes after eating. The typical patient is usually female, heavy smoker who avoids food with profound weight loss. Often these patients have been extensively investigated for possibility of malignancy or psychiatric illness. Diagnosis is confirmed with duplex ultrasound. If confirmed, further imaging with CT-Angiography or MR-Angiography or formal angiogram is performed to plan revascularisation. Surgical intervention is aimed to improve the blood supply to the bowel (revascularisation). 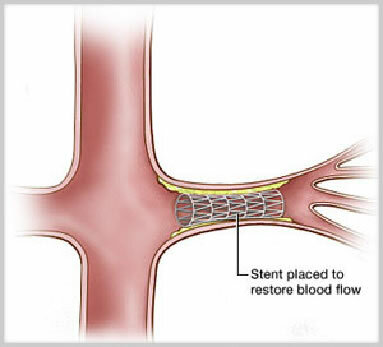 Options include minimally invasive techniques (balloon +/- stent) or less commonly, open surgery. Median Arcuate Syndrome occurs due to compression of the coeliac artery (artery of the foregut) by fibres of the diaphragm. This may more rarely affect the superior mesenteric artery (artery of the midgut). Treatment is by division of some of diaphragmatic fibres with or without the need to repair the artery.